Dozens of California public officials who have called for residents to cut back their water use amid the state’s devastating drought are apparently ignoring their own demands for conservation, and are allegedly using enough water for multiple households. 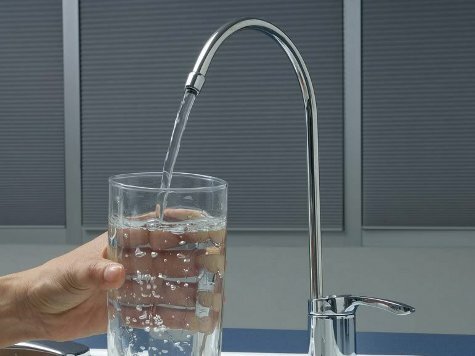 According to a review by the Center for Investigative Reporting (CIR), at least 26 public officials in California used more than double the average for household water in 2013. At the top of the list, the CIR report suggests, are three officials: Riverside City Councilman Kevin Soubirous, Fresno City Councilman Oliver Baines, and Riverside Board of Public Utilities member Andrew Walcker. Each used more than 1 million gallons of water in 2013. According to a 2011 study by the Department of Water Resources, the average single-family household in California uses 361 gallons per day, or about 132,000 gallons a year. Of course, variations in use occur around the state: Southern Californians use far more water for landscaping than do Northern Californians, which brings their average up to 523 gallons a day. In the Central Valley, the portion of the state affected most by the drought, residents used about 565 gallons of water a day. According to the CIR report, water officials in the Central Valley included in the review used an average of 865 gallons per day in 2013. The Riverside City Council, of which Kevin Soubirous is a member, voted last summer to impose a limit of four days of watering for city residents’ lawns. Yet according to CIR, an NBC cameraman observed sprinklers watering the lawn at Soubirous’ home every night for a week. Soubirous conceded to CIR that he should cut his water usage to set a good example, but said he was not sure how to go about doing it. Environmental lawyer Trent Orr told CIR that officials are intentionally ignoring the conservation mandates they force upon others. “You should be leading by example, not telling the little people you regulate that they need to tighten their belts while you proceed as if nothing had happened and in fact use more water,” Orr said. Other officials using more than their fair share of water include Fresno City Councilman Oliver Baines and Fresno Mayor Ashley Swearingen, currently the best Republican hope for winning statewide office in her bid for Controller. Swearingen reportedly blamed her sprinkler system for her use of 850 gallons of water a day. More specifically, she blamed herself for not knowing how to program it. Other officials named in the CIR report include Riverside utilities board member Nick Ferguson, Coachella Valley Water Board President John Powell Jr., and Metropolitan Water District of Southern California chairman Randy Record. Each told CIR they are working on their water conservation efforts, with varying degrees of success.